It is wrong on every single claim. First and foremost, encountering stray dogs does not mean that the problem has “cascaded out of control.” Such encounters are inevitable and are not indicative of a larger crisis. Indeed, abandoned and stray dogs can no longer be found in most cities throughout the United States. In these communities, a dog roaming the streets is a rare sight and a call to action. Community dogs are now largely confined to cities with high rates of poverty, crumbling infrastructure, institutional neglect, and ineffective government. Moreover, the number of animals living on the street which are frequently cited are nothing more than wild guesses or, as in the case of Houston, made up out of whole cloth. Under scrutiny for its historical high rates of killing, for example, leadership at the Houston pound claimed that they must kill animals due to an overpopulation problem so severe, that there are 1.2 million stray animals wandering the streets of Houston. Putting aside the fact that the number of dogs and cats on the streets doesn’t mean the shelter has to kill animals in the shelter, how can such a huge number possibly be true? If it was, that would be one stray animal for every two people in Houston or 2,000 dogs per square mile, an absurdity. Such a claim defies experience and credulity, but that hasn’t stopped the city from making it or newspapers from printing it. 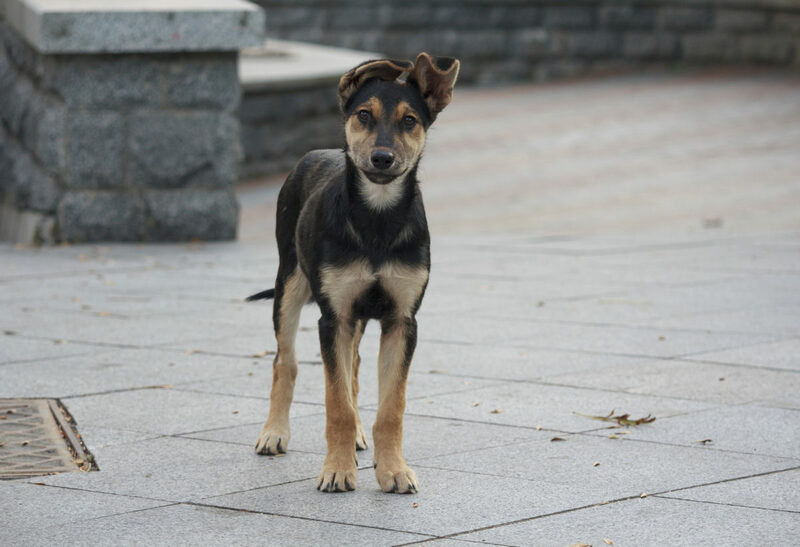 In Detroit, likewise, activists have long claimed that there are 50,000 stray dogs living in the city although no one could cite the source of that number. When the dogs were actually counted, the number turned out to be as low as 1,000, a fifty-fold reduction. And, of course, Detroit is an aberration. It is poor, bankrupt, has an unemployment rate twice that of the nation, high foreclosure rates, six out of 10 kids live in poverty (compared to two in 10 nationally), and one-third of the city is empty or described as heavily blighted, all criteria usually associated with lack of sterilization and high rates of abandonment. So what is the actual number of stray dogs in the United States? A worst case scenario would be to extrapolate Detroit, a city where the infrastructure provided by government has more or less begun to break down, to the entire U.S. Using this extreme example as a norm, that would be just shy of one million stray dogs in the entire U.S., less than the author and NPR claim for Houston alone. Second, with 30 million Americans adding a new animal to their households every year compared to roughly 1,000,000 stray dogs and another 1,000,000 killed in shelters (plus 1,000,000 cats killed and assuming ten times the number of community cats), supply comes nowhere close to the actual demand. Combining the number of stray dogs with the number of dogs entering shelters still yields a figure that is less than total national adoption demand. To the extent that there is a problem, there is also a fix: local (No Kill) animal shelters. Not only does the data disprove the main myth used for over a century to excuse the killing — that there are too many animals for too few homes — so does experience. Several communities are more than doubling adoptions and cutting killing by as much as 75-90 percent — and it isn’t taking them five years or more to do it. The majority did it in six months or less; some virtually overnight. The fundamental lesson from the experiences of these communities is that the choices made by shelter managers are the most significant variables in whether animals live or die. As hundreds of communities which have adopted their way out of killing (the vast majority in six months or less and before a comprehensive sterilization program was in place) prove: shelter killing is a choice. Third, No Kill shelters and nonprofit organizations rescue dogs from the street (and homes), sterilize them, and adopt them into new homes. They do not return them to the street (although, in appropriately circumstances, they should.) To suggest, therefore, that “The no-kill movement” — saving animals — “contributes” to the problem of increasing stray dogs is not just factually wrong, it is illogical. Fourth, the claim that community dogs pose public safety threats are exaggerated. Community dogs generally do not fight: they show little territorial behavior, almost never engage in territorial barking, and tend to have high tolerance towards other dogs. As a general rule, community dogs eat garbage and handouts; they do not engage in predation. In addition, the vast majority of dogs never bite. Of the rare few who have, two-thirds involve “owned” dogs, not stray/community dogs, and are provoked. Fifth and finally — and once again contrary to the claim — there is a fix and while it may not be “easy” given bureaucratic inertia and indifference, it is certainly not technically difficult. The No Kill Advocacy Center proposes a humane, non-lethal, and effective three point plan to address the needs of community dogs — shelter reform, flexible adoptions, and sterilization. These approaches are being done not only across the globe, but in communities throughout the U.S. with great success. Data from communities and countries that sterilize community dogs, for example, shows a decline in the number of dogs and, to the author’s last point, dog bites. While the exact cause of this decline has not been specifically studied, officials point to a variety of factors: the obvious effect of sterilization on dog behavior, including behaviors associated with mating, reduced numbers of dogs and reduced home range of individual dogs resulting in fewer chance encounters with humans, an increased respect and thus kinder treatment towards dogs due to the positive role model of rescuers, and the impact of community education by rescuers that often accompanies these efforts. Whatever the cause, the positive impact on public safety has been proven and is profound, causing public officials, including those from agriculture and health departments, initially opposed to the idea of sterilizing community dogs for public health and safety reasons, to embrace it. In 1869, Henry Bergh, the great founder of the humane movement in North America, argued that once the sweeping generalizations, scare tactics, and distortions were put aside, stray dogs posed very little threat to the public health and welfare. Undertaking a painstaking precinct-by-precinct search yielded only one possible case of human rabies, which was not attributable to a bite from a “mad dog.” While the authorities could not argue with the facts, they nonetheless claimed that killing these dogs before they had a chance to bite was preventing rabies, noting that many dogs were “destroyed when in paroxysms of madness.” Bergh was undeterred. The reality, he noted, was that the dogs, shot by police or clubbed by crowds of angry men and boys, were more scared than mad. He was right, but not before the country would see 150 years of the mass killing of dogs — precisely what the No Kill movement is bringing to an end. NPR and the author appear to want to rekindle that debate. If they truly cared about dogs, they would put aside the antiquated, harmful, and disproven 19th century hyperbole about stray dogs and instead focus on 21st century data, experience, and proven solutions. Doing so would create “affection toward dogs” and help them find homes. Isn’t that, after all, the job of the dog advocate?